Home Blogs Abu Yehuda What to do about the Kites? As you probably know, Gaza Arabs have been launching kites and helium balloons across the border with fiery payloads, and they have set huge blazes in nearby agricultural fields, nature reserves, and even the campus of Sapir College (just south of Sderot and 4.5 km from the border of the Gaza strip). Large areas have already burned, and new fires are being started all the time. Farmers have lost millions, and plant and animal life in the region will not recover for years. Nobody has died in the fires yet, but firefighters imperil themselves regularly trying to put them out. There is a debate about how to stop these attacks. Shoot them, some say. Well, it seems that there is a legal problem. You can’t just shoot civilians for possession of a kite or a balloon. And after it is in the air, the terrorist that released it is a criminal that has to be apprehended, not summarily executed. So the only way you can shoot them is to catch them precisely at the moment that they are about to launch the incendiary device, so as to stop them from doing it. And best shoot at their legs. Good luck with this. So the talk turns to technology. Drones to cut the kite strings and similar ideas. Some model airplane hobbyists already took down a few of them with fishhooks attached to their planes. But hundreds have still gotten through. Recently Israel sent a shipment of Tamir interceptors, the projectiles used by the Iron Dome system, south to the Gaza envelope area. The Iron Dome not only intercepts the Hamas-produced Qassam rockets, but it can even take out a tiny mortar shell. The Tamirs are expensive (though it can be argued that the true marginal cost of a Tamir, after spreading the development costs over a large number of units, is more like $5,000 than the oft-quoted $50,000) and usually two are fired to intercept a Qassam, which costs Hamas a few hundred dollars to build. Mortar shells can be had for as little as $6 each! We have built a multi-tiered missile defense system which includes Iron Dome, but also several other components designed to intercept medium and long-range missiles. The complete system is fabulously expensive, but will provide a level of defense that no other country in the world can match. Of course we need this. 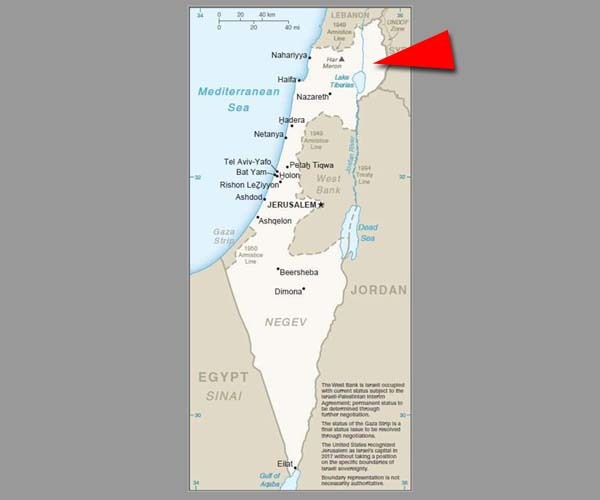 Israel’s small size and concentrated population make it vulnerable to missile attacks, and our enemies know it and have invested heavily in this area. That doesn’t mean that we can sit back and let our enemies throw everything they have at us. None of these systems promises 100% success, any defensive system that doesn’t involve science-fiction technology can be overwhelmed by a massive enough attack, and the economic imbalance inherent in using a Tamir – no matter how low we make the marginal cost – to kill a $6 mortar round becomes painful. 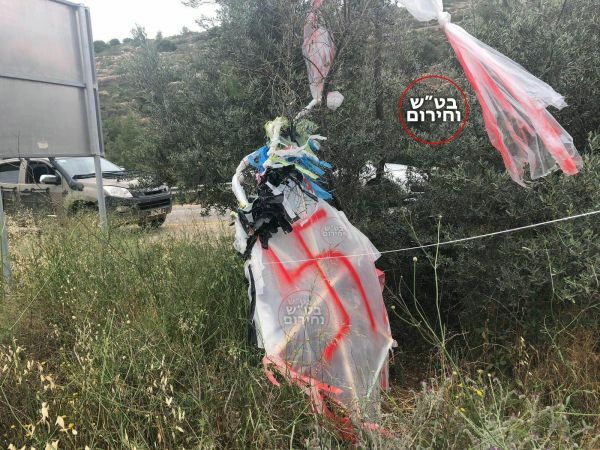 But there is another issue here, which is surfacing in connection with the incendiary kites, and in general with the “great march of return” and our response to it. Israel loves technology, because it makes it possible to win wars without hurting anyone. We love defensive technology that enables us to bat away enemy rockets, and we love offensive technology that allows us to precisely take out a military target with no collateral damage. Nothing is cooler than sending a missile through a window to kill a bunch of terrorists without upsetting their wives and children on the next floor. This kind of warfare supposedly protects us in today’s hyper-litigious world where we are attacked by brigades of lawyers working for “human rights” NGOs, paid by our sophisticated European enemies – the descendants of the pogromists who murdered our ancestors, and now, in the name of humanity, try to prevent us from defending ourselves. Except that it doesn’t protect us. The exquisite care with which the IDF repelled the popular invasion from Gaza did not prevent us from being accused of war crimes by the media and by the NGOs. If Hezbollah should launch its tens of thousands of rockets from South Lebanon, and we are forced to destroy the launchers embedded in civilian houses, all of our warnings and all of our precision strikes will not prevent the accusations and attempts to impose international sanctions against us. There are two reasons for this. One is that the international deck is stacked against us, either because the players don’t think Jews should be sovereign anywhere in the Middle East (the position of most Muslim nations) or because – like French President Macron – they cynically pursue their economic or political interests, even if it should be obvious to them that their actions make war or even genocide more likely. That isn’t news, and it isn’t likely to change. The other reason is that Israel’s policies over the last few years have taught our enemies that appeals to “morality” and international law (real or imagined) actually affect Israel’s behavior and limit our defensive responses, even to murderous attacks directed at us. With our Iron Domes, our “roof knocks,” our exaggerated care when authorizing snipers to shoot at Arabs trying to breach our borders, our use of low-yield weapons in targeted killings, our tolerance for continued low-level terrorism like rock-throwing, and our bombing of empty military installations, we are training our enemies. We are teaching them one basic principle: it’s normal for you to try to kill Jews. Do Gazans hate us? Let’s build them an artificial island. Could anything be crazier? Oh, we’ll defend ourselves, either passively or with minimal offensive force. But we won’t get mad and really try to hurt you. These are not the Jews of Kishinev or of Hebron c. 1929. We will fight back if necessary. But we understand your need to kill us. As a result of our restraint, demands are placed on us to restrain ourselves further. And as a result of the message of “understanding” that we send to our enemies, they keep devising and trying out new ways to kill us. Why shouldn’t they? In the Middle East, being good to your enemies is perceived as weakness, which invites attack. The final answer to the kites won’t come from technology, because if we could push a button and bring them all down, Hamas would just come up with a new weapon, a new delivery system for their boundless hate. No, the solution to this and other problems requires a fundamental change in our way of thinking. I believe that the present defensive mentality is based on cowardice and the internalization of the pervasive antisemitism of our enemies, both the “hot” ones in Gaza and the “cool” ones in Europe. To some extent, we ourselves believe that it is acceptable to shoot at Jews. The question shouldn’t be “how can we stop incendiary kites?” Rather, we should ask “how we can hurt the Gazans – both the Hamas leadership and the people that support them and share their hatred – so badly, so disproportionally, that they will be very sorry that they tried to burn our country. Deterrence doesn’t only come from threats, Mr. Lieberman. The enemy has to believe that you will carry them out. A truly brutal response to the kite attacks could be a place to start.